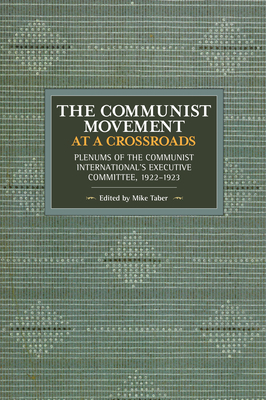 This volume contains the proceedings and resolutions from three expanded meetings of the Executive Committee of the Communist International (Comintern) held in 1922-1923, while Lenin was still alive. At these 'mini-congresses', Communist leaders from around the world debated out major strategic questions and initiatives, from united front policy to the fight against fascism. The material in this book - much of it appearing in English for the first time - is an essential source for understanding the world revolutionary movement in Lenin's time, as well as the subsequent evolution of the Comintern. It is an important supplement to the widely acclaimed series of volumes edited by John Riddell containing the record of the Comintern's first four world congresses.